More great things to do in Northland: Swimming, relaxing on the beach, fishing, diving, hiking, golf, sightseeing and adventure activities. Details of things to do in Northland are listed below. Fishing from the property can also be arranged – talk to us about the options! Mahinepua is just minutes away from Whangaroa Harbour, ‘Marlin Capital of New Zealand’. Deep sea fishing charters are available from here. Kingfish may be caught from within the Harbour! Share your ‘fishy tails’ with locals at The Whangaroa Big Gamefish Club on the waterfront. Sign up for a local fishing tournament. Catch a Marlin! Day memberships available. Visit their website for tournament dates and entry forms. Dive the Cavalli Islands. The final resting place of the Greenpeace flagship the ‘Rainbow Warrior’. A world famous dive. Walk the track from the historic Stone Store in Kerikeri to this spectacular waterfall. Charter a fishing boat (see list of local operators above), or take a leisurely cruise around this historic harbour. Sandy beach with views to the Cavalli Islands. Walk up the hill to the Rainbow Warrior memorial. Quaint historic fishing village and also home to the ‘world famous’ Mangonui Fish and Chip shop. The Cradle of the Nation’, visit New Zealand’s oldest stone building, The Stone Store in the historic basin area. Visit a Maori Pa site and learn about early European settlers. Kerikeri also has an art and craft trail and some award-winning cafes. View the majestic Kauri trees along an easy boardwalk through native forest. The very top of New Zealand, see where the Pacific Ocean and the Tasman Sea meet. Take a coach tour up Ninety Mile Beach, surf the sand dunes. 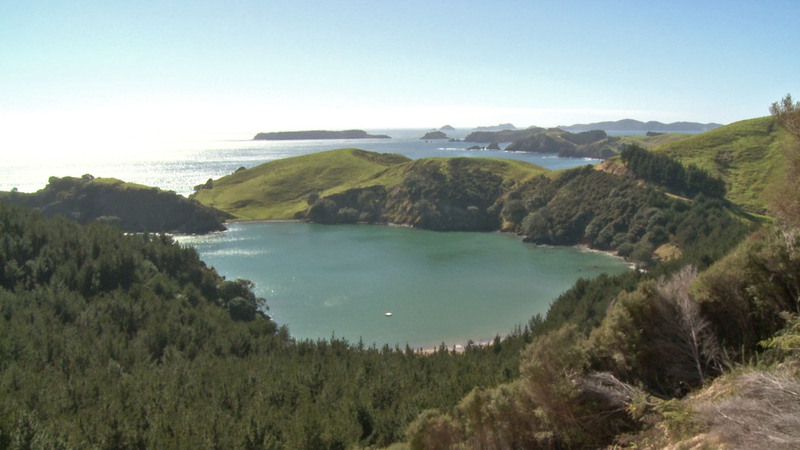 Paihia is Northland’s adventure playground. Take a boat trip to the ‘Hole in the Rock’, and around the Islands, view dolphins, hire a bike, jet ski, or kayak, go parasailing. Take a short ferry ride across to historic Russell.